In celebration of July 4, USA Independence Day, we proudly offer all Bilock product ordered between July 1st, 2009 & July 31st, 2009 at 35% off the manufacturers suggested retail price. All product must be ordered and paid for during the month of July. All Bilock systems are protected by a registered signature and require specimen signatures prior to goods despatched. Shipping & Handling charges are separate and additional. All product is warrantied as per manufacturer specifications. This SPECIAL is for the month of July 2009 only, in celebration of USA Independence Day. As informed in a previous article here, we are pleased to announce that we have received confirmation from our local fire marshal that the Cowdroy P697 Pocket Door Lock with Key, will comply with life safety codes and fire and building codes, provided it is not used on primary entrances or exits. The Cowdroy P697 Cavity/Pocket Door Lock, is secured using a double cylinder 5 wafer (disc) tumbler mechanism, providing a 100% bump proof lock. This means that the selected door can be locked by key from both inside and outside. Securing your pocket doors has never been so easy. Each unit arrives with complete, easy to follow installation instructions and 2 keys. Interest in this product has been overwhelming and we anticipate stocks to arrive within 6 weeks of all color finishes, as well as the passage and privacy models. (source...) Thanks to Garry Aumann of Keyman Services, Gold Coast, Australia. I receive a substantial number of searches each month on multiple subjects related to hardware and security products and services (as one might expect). Master Key Systems America LLC and locks210.com-St Louis Locksmiths prides ourselves on bridging the gap between the Big Box retailers like Lowes and Home Depot or Walmart, Kmart, Target etc, by representing and selling unique and more specialized products and services. We will also sell, install and service any requested product line our customers desire, although quite often, as expected, we are unable to sell product as competitively as the Big Box Stores. Yet many searches being conducted, seem to be attempting to find our unique product offerings at Home Depot or Lowes or Walmart . While the likelihood of finding products similar to our unique inventory at Lowes or Home Depot, might cause customers to think that they will benefit from more competitive prices, most of our product line will not be found there. There are a surprising quantity of searches every month for our Strikemaster II product but using the additional keywords of Lowes or Home Depot, in attempt to find a more competitive price for this unique and superior specialized product. The Strikemaster II product is manufactured in North Carolina by a small company that uses modern technology and practises to produce very high quality products. While it might seem like an advantage to have products like these on the Big Box shelves, the truth is that the backup, service and experience you receive from the specialist retailer (like me) far outweighs any perception of service you might receive from Lowes or Home Depot . We are unable to sell the product at significantly lower prices (as might be expected at Lowes or Home Depot), because the manufacturer does not offer any pricing incentives for volume orders. If they were to offer the product at significantly advantaged prices based on volumes ordered to Lowes or Home Depot, the suggested retail prices that most other suppliers of the product sell it for would be severely eroded lowering the value of the product. We at Master Key Systems America LLC, pride ourselves on offering premium quality products at quality prices. We understand that there is absolutely no way we can compete with the big box stores on $ for $ incentives and we hope our ever increasing clientelle understand and appreciate our efforts to improve their lives and the security of their families and properties. 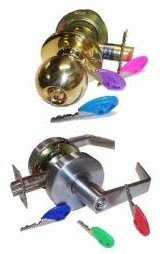 There are multiple retailers who sell the Bilock Extreme Security product line too, yet this clearly superior locking product will not be found in the big box stores because it is far more complex than their untrained staff could handle. When Lowes and Home Depot or Walmart and Kmart or Target buyers attempt to purchase from our specialist manufacturers the identical products that we sell and maintain, they try to convice those manufacturers that by selling a greater volume at a cheaper price, they will stand to make considerably more money sooner. This mentality only serves to lower the value perception of all products and causes the small business to be less competitive. The customer thinks they are receiving the same product but at a better price, which is their principal motivation. This situation is not true for the longer term. The small business economy is the largest single economy group in the nation (or the world, for that matter). By bypassing the small merchants, customers think that their money savings will benefit their wallets. While this may be true in the short term, the truth be told that putting small merchants out of business, will severely harm customers abilities to benefit from competitive prices in the future, because the big box retailers will be enabled to raise retail prices after putting the small businesses out of business. It's your choice. If you want to see better prices, negotiate with your specialty retailer. Quite often they will be prepared to bargain with you if you show some loyalty. Notice in the above video's, prior knowledge does not appear to be required, regarding the technical configuration of the tumblers. Medeco locks have been touted as the most secure product of it's kind in America for the last 30 years. For true bump proof and pick resistant products, look no further than Bilock Extreme Security products. Master Key Systems America LLC, is one of only two authorized and fully equipped Bilock Extreme Security dealers in Missouri. 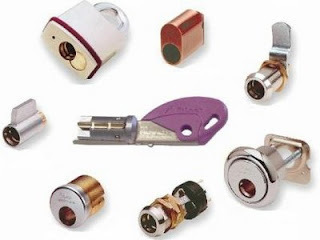 There are other resellers of factory produced product but only we and Bates Street Lock & Key are able to create and produce in-house systems right here in St Louis.